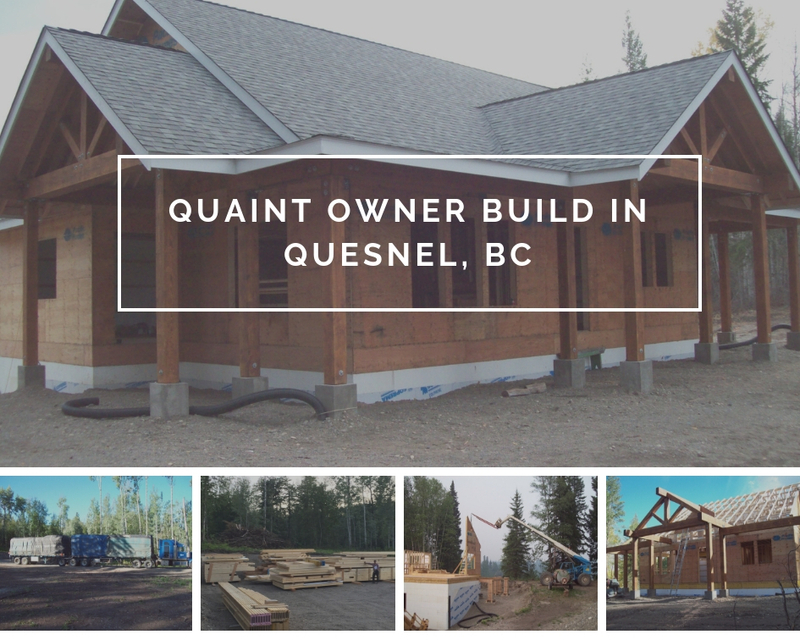 This new owner-builder home in Quesnel, BC is coming along nicely! The two-story home offers 3024 sq.ft of living space. The main floor features an open concept living area that includes a living room, kitchen, dining room and a large loft. The home’s 9+ foot vaulted ceiling areas and expansive windows open the area up and allow for the homeowners to enjoy the scenery of their beautiful property from the comforts of home. A large deck off the main floor with accents of fir timbers milled onsite creates a perfect space to spend with family & friends enjoying the peaceful quaint property. The lower level is an equal size and will be used as a garage, hobby room, family room, and an extra bedroom. This home’s owner decided to build and permit the project himself as an owner-builder and started the process by taking the OBT Training Course here at Pacific Homes. If you are interested in learning more about our OBT Training Course, you can find more information here.